We live in such an incredible age. When our mothers wanted any sort of tip or recipe, they were limited by a small circle of friends and family members. For some, it could take a couple of weeks as letters were exchanged in search of the tips. By contrast, we can find thousands upon thousands of tips, instructions, and ideas for whatever it is we want to do, and we can do it all in about a five minute time span. Travel tips are no different. In fact, travel tips are so numerous and plentiful that it is kind of overwhelming. I broke down the travel tips into five main categories. When you search for tips, try searching for individual facets of the traveling. Check out my “Take Me Away” board for ideas, but certainly don’t stop there. Search Pinterest and the Internet for more. Also, don’t give up on those people in the neighborhood or in your family–not everyone with a great idea puts it out there on the Internet. I know a lot of people with a lot of great ideas who have never published a single bit of wisdom in so much as an email. There is much wisdom still in asking those you know. For me, one of the most daunting parts of a vacation is the travel time if it will be long. Whether you will be traveling by car, train, or plane, you can find a TON of ideas out there. 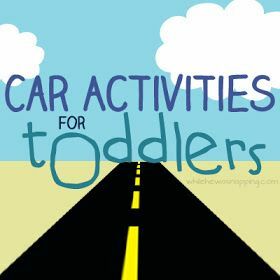 Look for “Car activities,” “Travel activities,” “plane activities,” and “road trip activities” to name a few. You can find lots of ideas out there! Now, we can definitely over-complicate things, as is often the case when we get Pinterest involved in our lives. When I was a kid, we did a lot of road trips. And guess what? My mom didn’t put together fun things for me to do in the car. I also didn’t have any technology other than the music that my dad got to choose since he was the driver (and for that reason, I know my 70s rock). I was responsible for my entertainment. And one time on a road trip to California, that meant I decided to see how dry I could make my tongue–that one hurt. ANYWAY, don’t make this a bigger deal than it needs to be and don’t be afraid to tell your kids to have fun reading or sleeping for the next 12 hours. Let’s back up a little. We do need to pack before we head out. I know I jumped ahead, but I know most of you went to the travel and the sleep in your head before you concerned yourself with a minor detail like packing. 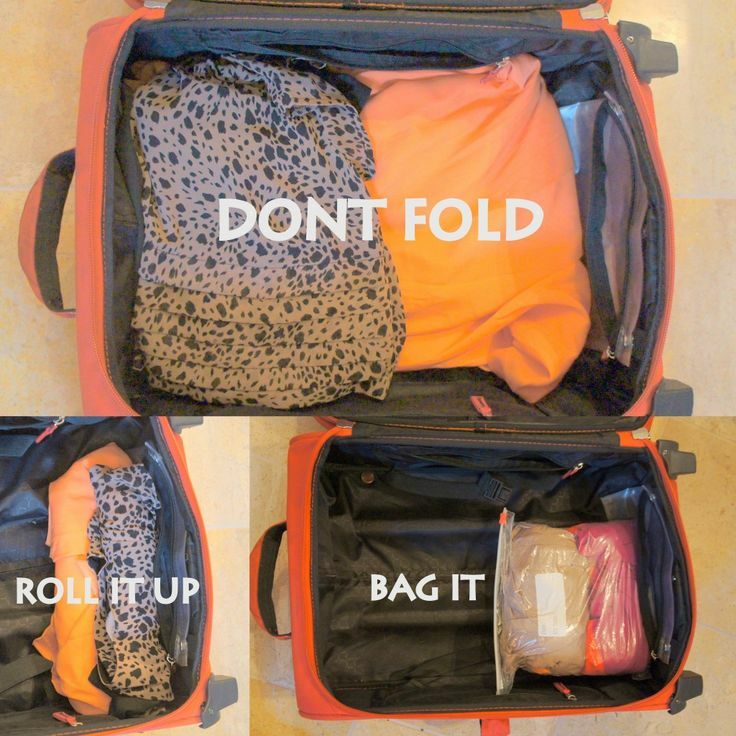 There are thousands of tips for packing for your vacation. You might search for “packing for vacation.” You also might search for tips specific to your location. Tips for packing for a Disney vacation are really numerous, for example. 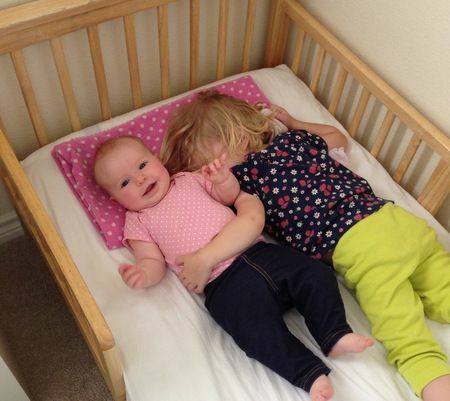 For me, a huge hurdle in packing for a vacation with kids, especially small ones, is the sheer volume of what you need. You need a lot of stuff. For this reason, my favorite tip I saw was this one. It is something I heard from a neighbor as a teenager, and I can attest that it works. Even if you love to eat out, no one likes to eat out for every single meal for days on end. No way. Even as teenagers, I remember my friends and I getting sick of eating out when we were traveling together. The food from restaurants is heavy and high in calories and you quickly get to the point of wanting nothing more than a bag of carrots. Not to mention the hit on the pocket book. But let’s not worry because you can find ideas for that on Pinterset, also. A simple sandwhich with some fresh fruits and vegetables can be quite the welcome change while traveling. This is a rather easy thing to find. Search for tips on traveling where you are going. This is a great time to utilize social media, also. People really get a lot of great ideas when they travel to places and you can glean a lot of wisdom in asking people what they did/do to make traveling to that location more fun, cheaper, and easier. The Dating Divas have compliled a list of great vacations all over the US–seriously awesome! Check this out.